When we think about globalization, we mainly have in mind global production chains with T-shirts being produced in one country and sold in another, transportation networks of airplanes and ships and of course human migrations across the planet. This international integration through the movements of goods and people has another less observed side effect, the accidental spread of species all around the world. Accidentally imported species tend to be small-sized organisms. 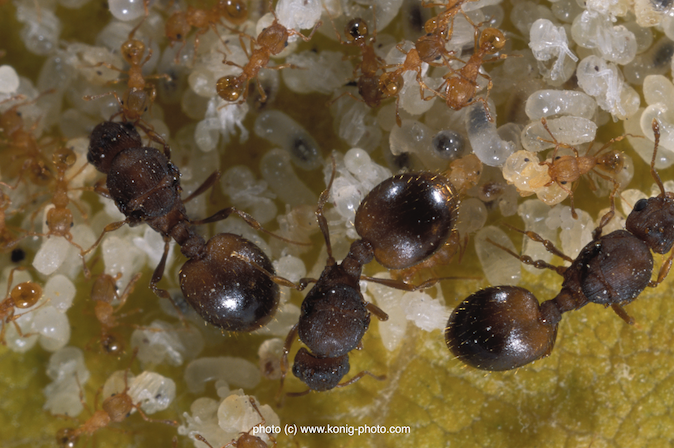 Among these species, ants are particularly successful in spreading thanks to their highly organized and complex societies, which allows them to establish under extremely diverse environmental conditions ranging from deserts to caves and they have even conquered the inhospitable Siberian tundra. Their social structure also makes them particularly fearsome invaders. They not only displace many native species, ranging from other insects to small mammals, but they are also harmful to human health with more than 200,000 people needing medical treatment in the US every year. 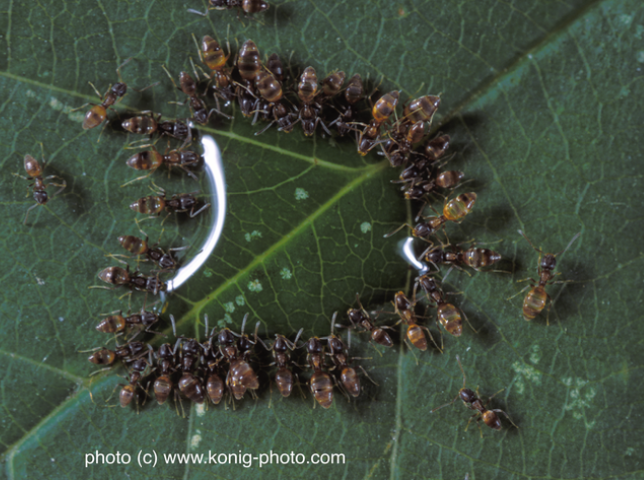 In addition, invasive ants cause economic losses through damages to agriculture, infrastructure and management costs. For example, the red imported fire ant alone is estimated to cost 6 billion USD annually. In our study, we asked if this past and current accidental transport has left its footprint on the distribution of ants today. We found that the 241 introduced ant species occur in far more countries than the remaining 12,863 described ant species. Moreover, the global distribution of introduced species bares the signature of human transport with many species present on many continents. But when did they spread? It is usually thought that invasions are a recent phenomenon. To investigate if this is true, we assembled historical records of first observations with some data available as far back as the 1750’s! We analysed how many new countries each species had colonized per year and calculated the annual colonization rate. We expected that we would either find that the rate increased over the last few decades, or, that it flattened out as a result of a saturation of new suitable habitats. Surprisingly, this was not the case. Instead of a simple curve, we found two distinctive “bumps”: first the colonization rate took off steeply in the mid-19th century, increasing until World War I, followed by a decrease with the Wall Street Crash in 1929 until World War II before beginning to ascend again, slowly at first and then much more rapidly to reach in the 1970’s, the same levels as before the world wars. Three groups of alien ant species benefitting differentially from the two globalization waves. Data on trade openness (a measure of the level of international exchanges) is shown as grey bars. 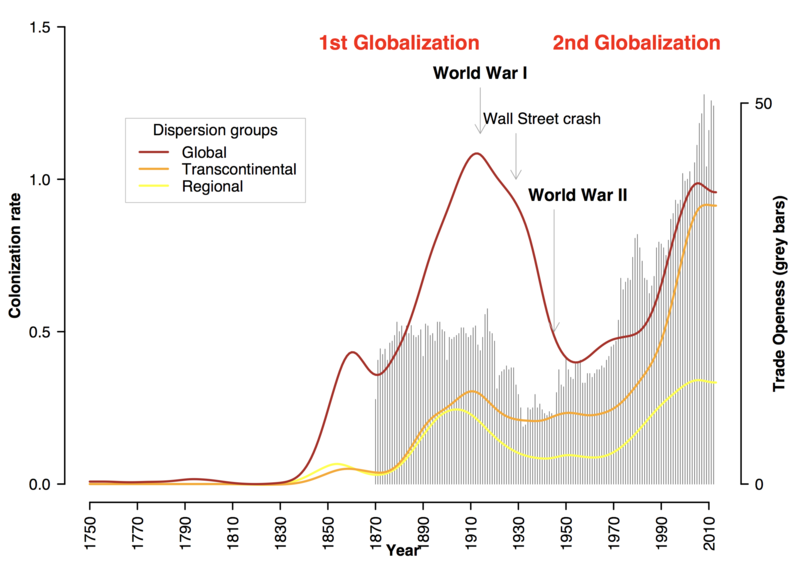 These two bumps mirror the well documented two waves of human globalization and are the most important feature of global trade over the past two centuries. 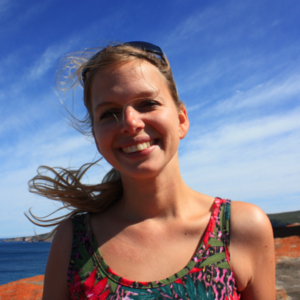 Yet surprisingly, they have been largely ignored by the ecological literature. In our paper, we showed that there is a tight association between the colonization rates of ants and these past events in human history that have shaped global trade. Moreover, we were able to identify three distinct groups of species that either benefitted from one or the other globalization wave, or both. Combining past dynamics and the biological characteristics of each species also allowed us to identify species that are most likely to spread in the future. These newcomers share several hallmarks with the species that have already invaded many continents, in particular the fact of being small, preferring disturbed habitats, and having a derived mode of social organisation with several queens per colony. The finding of invasiveness being favoured by a more complex mode of social organisation further supports the view of sociality being a key factor in a species ecological success, at least in insects!